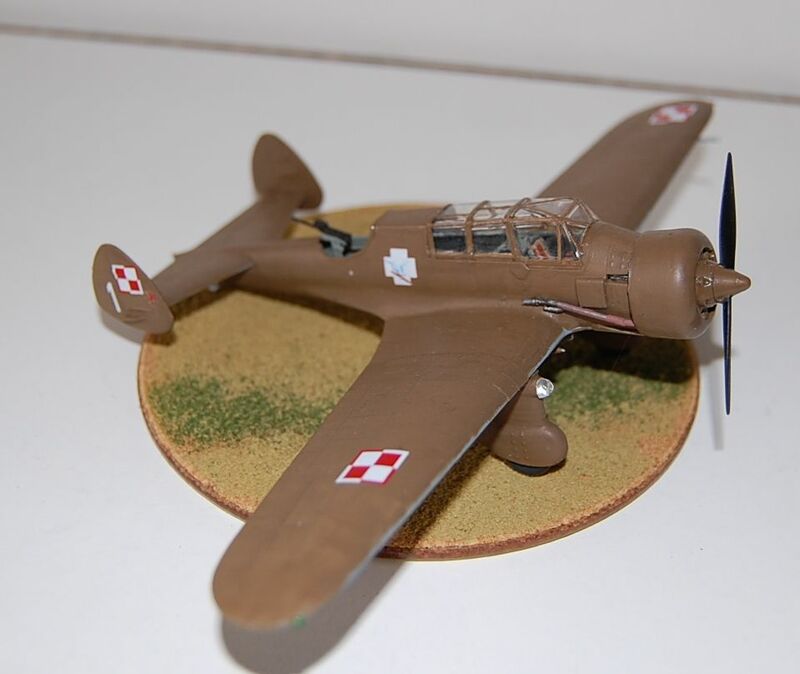 A PZL 42 of the 51st Line Squadron, 5th Air Regiment, Lida September 1939. 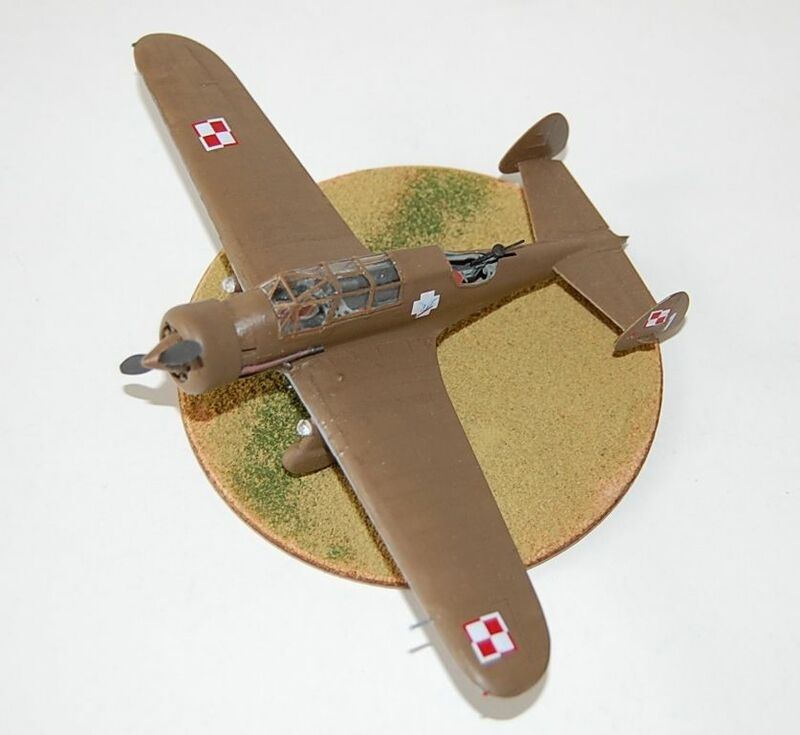 This is the IBG Models kit of this prototype which was looked at as a replacement for the more well-known PZL 23 Karas in the light bomber, reconnaissance role, although it never entered production. The main visible changes between this and the Karas was the twin tail and the lack of the under fuselage gondola. To be honest I struggled a bit with this kit. Nothing to do with the kit as it’s highly detailed and has excellent fit although parts could be considered a little on the “fussy” side, but unfortunately I was building it when I was still trying to come to terms with my ongoing eye problem and how that was effecting my modelling. Never the less I was impressed enough by its quality to go out and buy a couple more IBG kits. 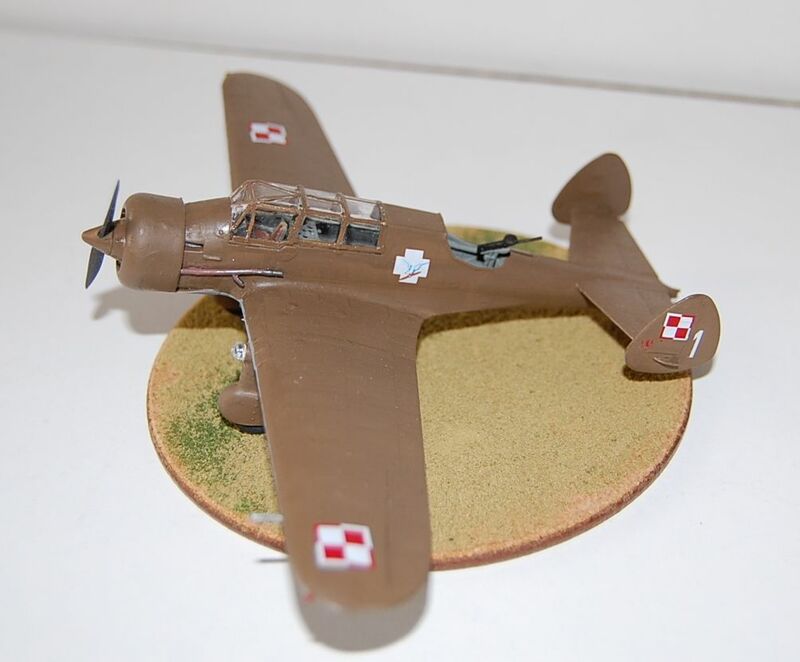 It’s finished with paints mainly from Hataka’s specific Polish Air Force September 1939 set and the transfers, apart from a couple of the kits, come from the Techmod PZL 23B Karas sheet. I've got one of these: if I ever get around to building it, it'll be Spanish Civil War Republican. Twin-fin is not as delicious as twin-boom but it is already a great improvement from the sad "normal"
...... and the lack of the under fuselage gondola. And that's all to the better to my mind. And I'm one of those who slag off the 23, mainly because it looks like it was designed by 2-3 different committees, none of whom talked to each other. 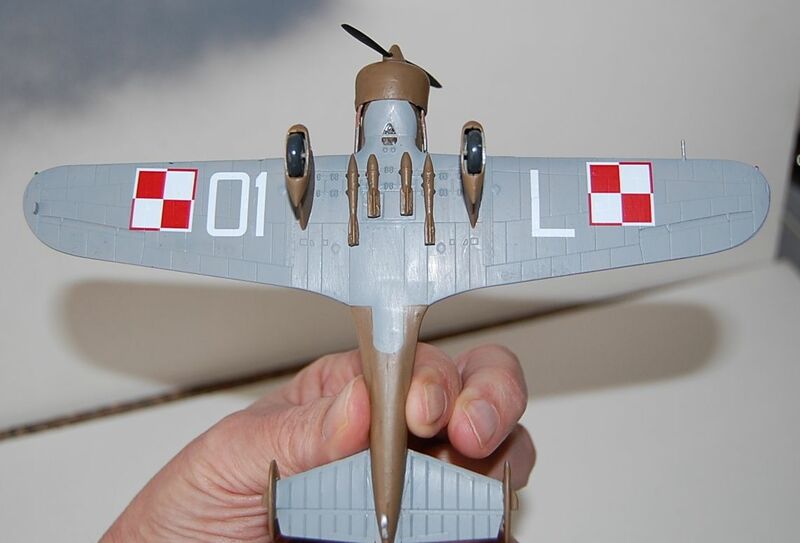 Polish aircraft always look quaintly dated but I have trouble seeing past the faecal-brown colour they painted them. Nice job, Chris, wonky eyesight or not. Which gets me thinking: I do have an IBG PZL-23 in the stash and had been wondering about removing the rather unsightful gondola. I'll have to take a closer look at the modlings. If you do H make sure you have a new blade in your scalpel or whatever you use. Some of the parts are very delicate and attached to the main sprue by 3/4 quite slender gates. That's part of what I mean by "fussy". but I have trouble seeing past the faecal-brown colour they painted them. Very nice. Looks to me like a cross between a Lysander and a Mitsubishi Ki-15 and something with a twin tail.